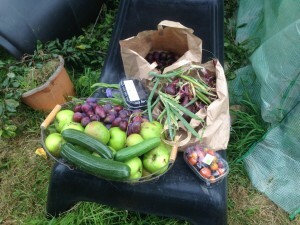 As we collect the summer harvest we can see the benefits of our hard work in the garden. The smell of fresh tomatoes and the bright colours of beetroots and cucumbers are great reminders of the wonders of nature. The fruit trees are heavy with ripe fruit just waiting to be picked. As it is with taking care of your health you should be seeing very noticeable differences with your health after a few months of hard work. Your posture should be better and some muscle mass should be visible. Further improvements like better digestion, better sleep and more energy should also be noticeable. A combination of strength, endurance and flexibility exercises will give you the best all round benefits. Having gone through the process of growing vegetables or getting healthier the next cycle is easier as your habits should be formed. Getting off the sofa for a walk or cycle should be automatic and this is especially important when the weather outside is not so nice and inviting. If you haven’t started healthy habits yet, now is the time to begin your preparation. Get your trainers out from the back of the wardrobe, get your bike tyres pumped up and oil the chain ready to start your new healthy habits. The hard work for most projects is done when no-one else is looking, so whether it’s going for a walk or digging the soil for next years’ planting the best time to start is now. This entry was posted on Wednesday, September 23rd, 2015	and is filed under Latest News.